IndiaSkills Regional Competitions 2018 commenced today at Bangalore International Exhibition Centre (BIEC), Bangalore. The three-day competition witnesses 300+ candidates from 14 states - Kerala, Andhra Pradesh, Andaman & Nicobar, Tamil Nadu, Maharashtra, Punjab, Jammu & Kashmir, Uttarakhand, Uttar Pradesh, Bihar, Himachal Pradesh, Chandigarh, Madhya Pradesh and Odisha, competing in 36 skills namely Aircraft Maintenance, Floristry, Confectionary & Patisserie, Mechatronics, Mobile Robotics, Fashion Technology, Welding, Graphic Design, Web Designing, Cooking, Jewelry, Beauty Therapy among others. The event was inaugurated by Mohit Dudeja, WorldSkills Silver Medalist in Abu Dhabi in 2017, along with Bhaskar Rao, Additional Director General of Police, Karnataka. The event was also graced by senior officials from central and state government including Jayant Krishna, ED & COO, NSDC, Ranjan Choudhury, Head WorldSkills India among others. Aimed at promoting world-class standards in vocational education and training, IndiaSkills Competitions are organized by National Skill Development Corporation (NSDC) under the aegis of the Ministry of Skill Development and Entrepreneurship (MSDE). For the first time 22 States & Union Territories partnered with NSDC to organize 500+ districts and states competitions, which mobilized 50,000+ competitors across 45 skills. 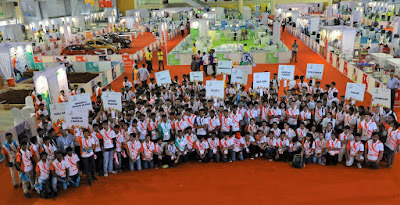 The winners from these competitions are competing at four regional competitions including the one at Bangalore currently. The winners from the regionals will compete at the National Competition in Delhi, where the winners across 45 skills will get an opportunity to undergo world class skill training and represent India at WorldSkills International Competitions 2019 in Kazan, Russia. The opening ceremony began with a short film focusing on the journey of all the contestants from different backgrounds and geographies towards IndiaSkills Regional Competitions. Followed by an oath ceremony led by Kiran Kiran (from Bangalore), who won a Bronze Medal in Prototype Modelling at WorldSkills 2017 in Abu Dhabi. For the spectators, it will be a revealing experience to see highly trained youth competing across different skills. 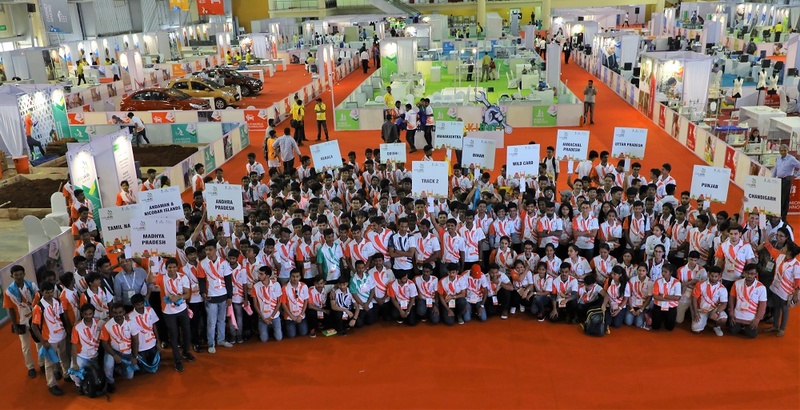 The arena at BIEC will also see various activations and engagement activities for the visitors such as Try a Skill where youth could practice and explore a skill of their interest; Career Guidance Assessment by Mettl (an NSDC partner) which would help youth pursue a career in alignment with their skill set; an Innovation Gallery where start-ups will showcase their technology and products. IndiaSkills is also promoting exchange of ideas and experience in vocational training through seminars and panel discussions. The Southern edition of IndiaSkills Regional Competition will conclude on 23rd June 2018, where the winners will be felicitated by Anantkumar Hegde, Minister of State, Ministry of Skill Development & Entrepreneurship, Government of India, along with other dignitaries.